Just Cause 3 has the unenviable task of coming out at the end of the year to capitalize on the Christmas rush. Normally, this is a wonderful time for a big name AAA release. 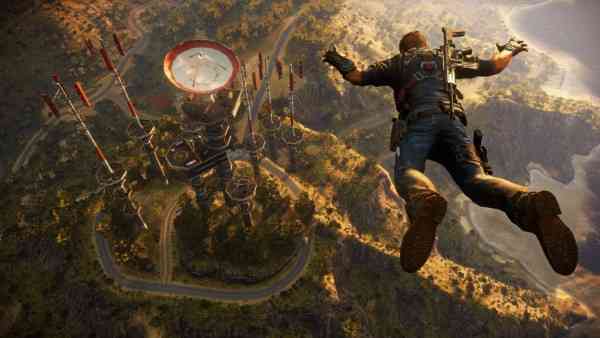 Unfortunately, Just Cause 3 is following up some of the biggest titles that are out there with a new Fallout, a new Black Ops, Destiny’s still fairly new expansion, just to name a couple. 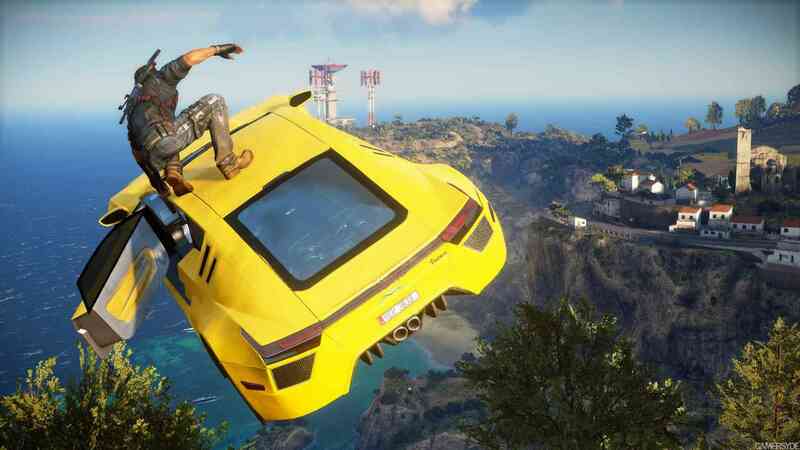 So, can the new adventures of Rico Rodriguez tear you away from whichever title has your undivided attention at the moment? Well, that all depends on your take on zany, over the top action, I suppose. 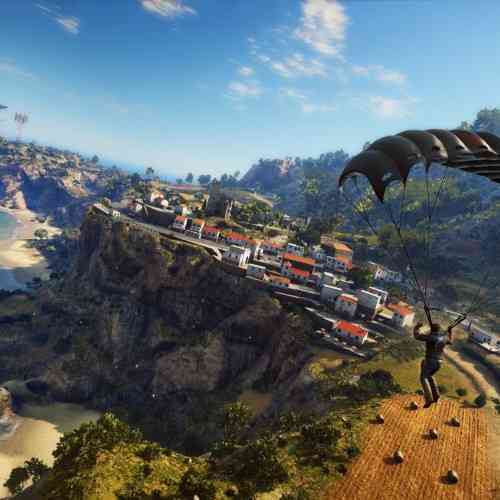 Just Cause 3 takes place on Medici, the fictional Mediterranean island that our protagonist, Rico Rodriguez, hails from. Medici is under the tyrannical rule of Sebastiano Di Ravello, the supreme dictator who loves using force to ensure his rule. Luckily, Rico is an expert at toppling regimes and wants to free his homeland. This leads us to the most perfect representation of the game in a single scene that any writer could possibly hope for. As the game opens, you fly into Medici and end up getting shot at. So you fly the rest of the way on top of the plane. With a rocket launcher. With infinite ammo. That opening sequence is a microcosm of the game in so many ways. 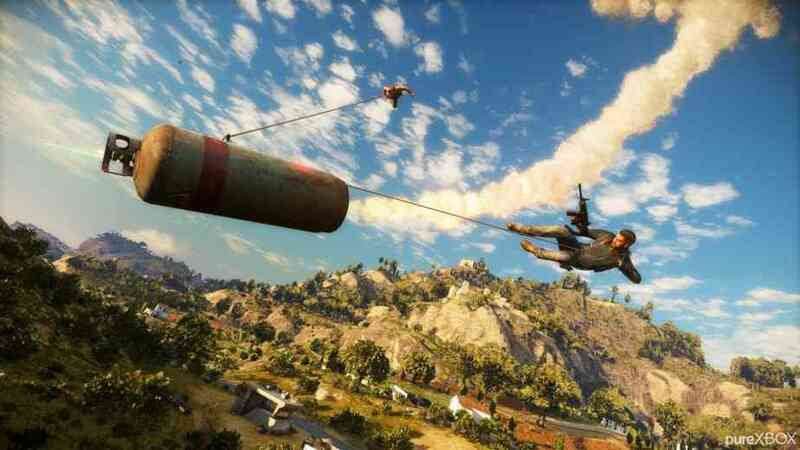 It’s over the top action, it’s chaotic, it’s awesome, the aiming is horrendous and there’s an inexplicable graphical hiccup when you fall off the plane. The good and the bad are all showcased here and it really prepares you for what you’re about to get into. There are an incredible amount of things to do in the game. Jumps to take, cars to acquire, upgrades, bonus missions, records to make, guns to shoot, bases to blow up, towns to liberate, and destruction to rain. The main storyline itself isn’t exactly the most compelling and does feature quite a few ‘paint by numbers’ scenes, but it was never something that I felt held the game back. There was also never a point where I didn’t feel the need to continue with the main storyline, which isn’t something I can even say about the much loved Fallout 4. 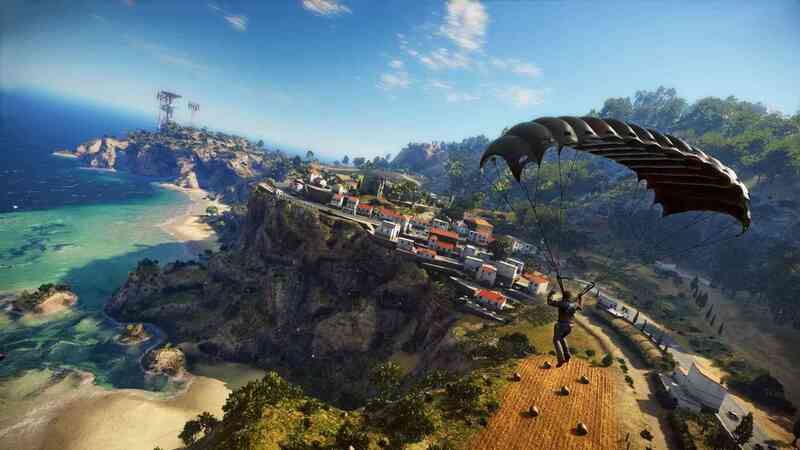 When you aren’t carrying out specific tasks in your attempt to overthrow Di Ravello, you can go driving about the country side, take death defying jumps, do some mini-games and free towns and provinces on your own. 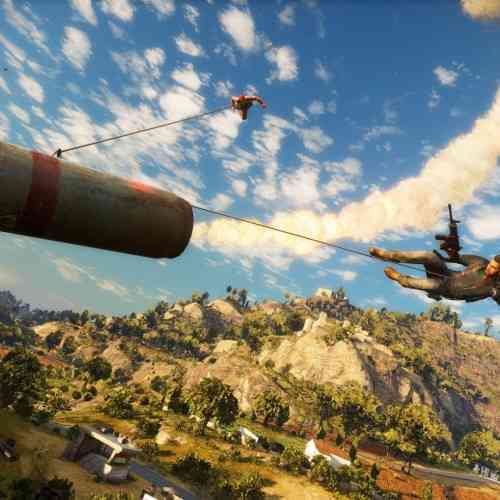 Pretty well every aspect of the game involves some insanely heightened sense of demolition and Just Cause 3 offers you a bevy of ways to carry out the wanton destruction of pretty well everything. Even the mini-games that don’t involve blowing something up, though few and far between, require you to be very inventive in how you achieve the top score. It makes for some pretty creative ways to get to your end goal and for some very engaging gameplay. The creativity and open ended aspects of the game don’t end with the prescribed missions though. I literally drove for an hour as I cruised around the island taking in the sites, diving off of cliffs with my windsuit, so on and so forth. Not once did I pursue a mission, an event, a mini game, nothing. I just enjoyed the bounty of the massive world and drove like a speed demon. 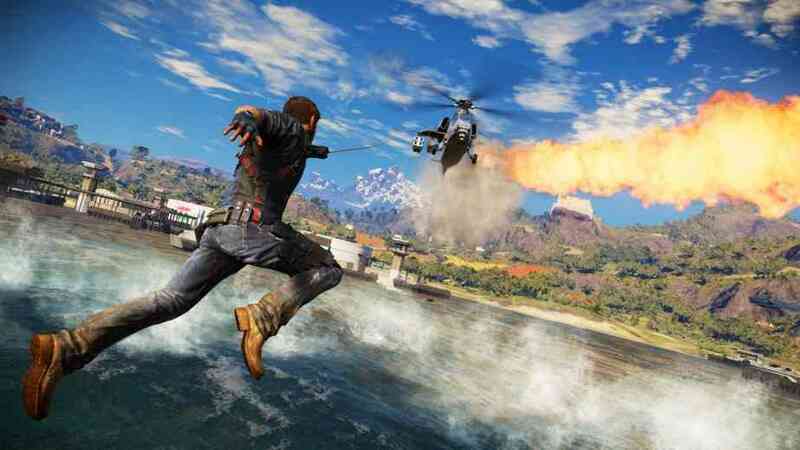 I also enjoyed flying helicopters, jets, boats… if you think you can use it in Just Cause 3, chances are that you can. You can definitely also use it to destroy something too. The tether aspect of the game was also certainly helpful as it helped me get around faster as well as getting to safety in dicey gunfights. Let’s not overlook the fact that you can tether someone to the top of a building, pull him towards it and drop him halfway and laugh as his carcass bounces off of a moving car. 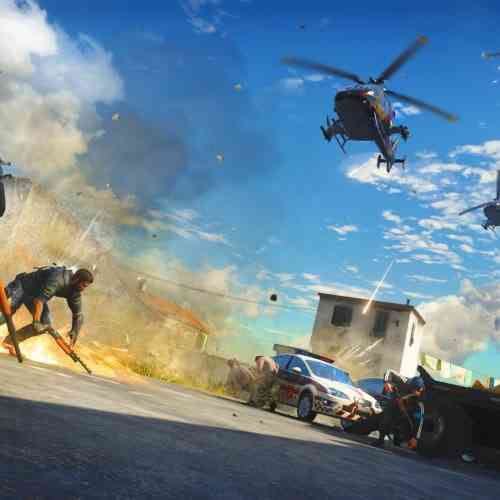 But some of the fun of the game is waylaid in what Just Cause 3 lacks. When you go about liberating a town, there’s only a finite amount of things you have to do. So, by the 12th town or so, well, it gets a bit stale. It got to a point where I would purposely rappel around and not kill the soldiers so I could incur some more stars and more deadly adversaries would be sent my way just to spice things up. There was also the fact that as a third person shooter, I certainly had to get used to how to aim. But after a couple of hours and having gotten a real hand on the combat, it seemed strange that shooting someone in the face more often than not ended up actually missing them. Or it ended up with you dumping half a clip of lead in their teeth and then they returned fire. As for the much talked about framerate drop, I was expecting for the game to be unplayable with plummeting framerates and glitches. Turns out that the framerates were mostly fine except when things got seriously chaotic. 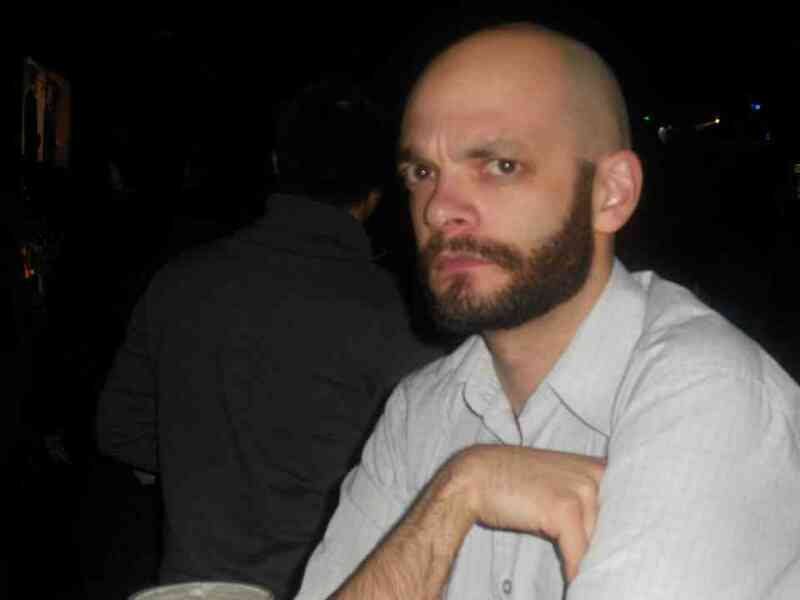 Earlier, when I said I would purposely invoke stars for more difficult troops. Well, when your dodging choppers, naval gunships, soldiers and tanks while blowing up fuel tanks and shooting your rocket launcher, then I got some framerate drops. What I actually experienced the most was some pretty bad glitches. Like, I would grapple up a mountain or a building and find myself inside it with no way out. This forced me to restart the game, which leads me to the biggest problem that Just Cause 3 has. The load times. The load times are intolerable. When you unlock a mission called ‘Helicopter Frenzy’, I didn’t think that frenzy would include a nearly two minute load time on both ends. It got to a point where I decided I’d do as many side missions as possible and unlock as much as I could, so I had a second game open on my phone in order to be able to cope with how much downtime I spent waiting for the loads. Also, heaven forbid you die in combat in the game and want to dive back into the mission. Go get a snack, it may be ready when you get back. 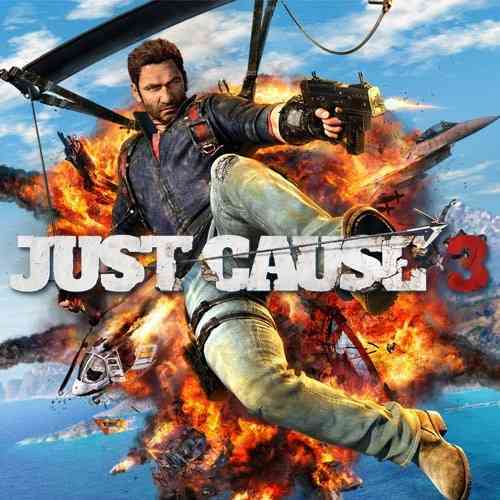 Yes, there certainly are some problems with Just Cause 3 that are irritating and off putting. But there’s also a lot that this game has going for it. The scenery is quite stunning as the island life is beautifully rendered. There’s so very much to do in the game that you could spend entire sessions simply travelling the map and entire other ones just hunting down secrets and easter eggs. 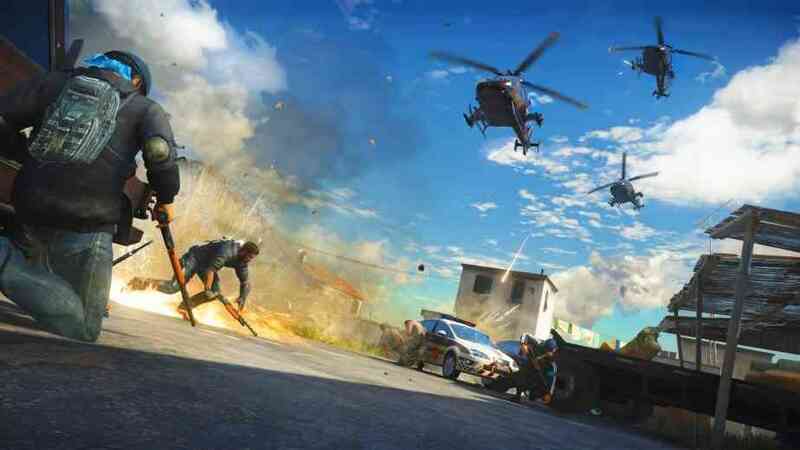 Also, the core of the game itself is so deliciously violence filled with over the top action that it would make even the Expendables look like gritty realism. For an action movie junkie like me, if a movie doesn’t embrace itself for what it is and give me an absurdly over the top, scenery chewing, nonsensical, ‘so bad it’s good’ product, it simply falls into the bad category. 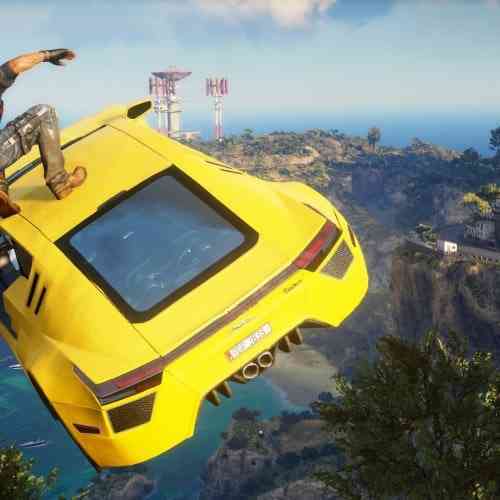 Just Cause 3 doesn’t pull any punches. You can use a tank to shoot a helicopter down or tether a soldier to a boat as it tries to evade your machine gun fire. 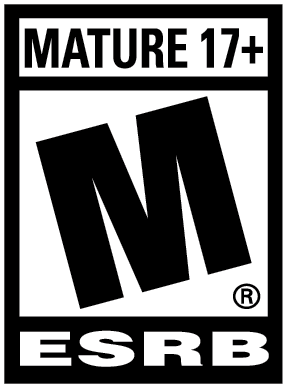 No matter how you play it, it’s going to deliver fun in droves. For that, I can truly respect the game and thoroughly enjoy my time in Medici.